Holly is a lifelong learner, and experienced visual art educator who has worked with diverse learners in formal and informal education settings over the past 10 years. She earned a Master of Education in English as a Learned Language and Special Education. 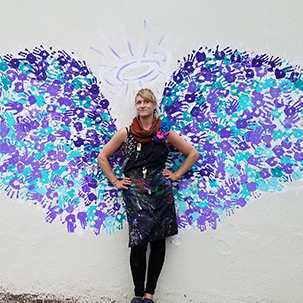 Having taught in various places in the United States and Europe, she believes strongly in the value that creative outlets provide communities. Her own creative practice has allowed her to build community through projects in Nebraska, Illinois, California, Oregon and Colorado.